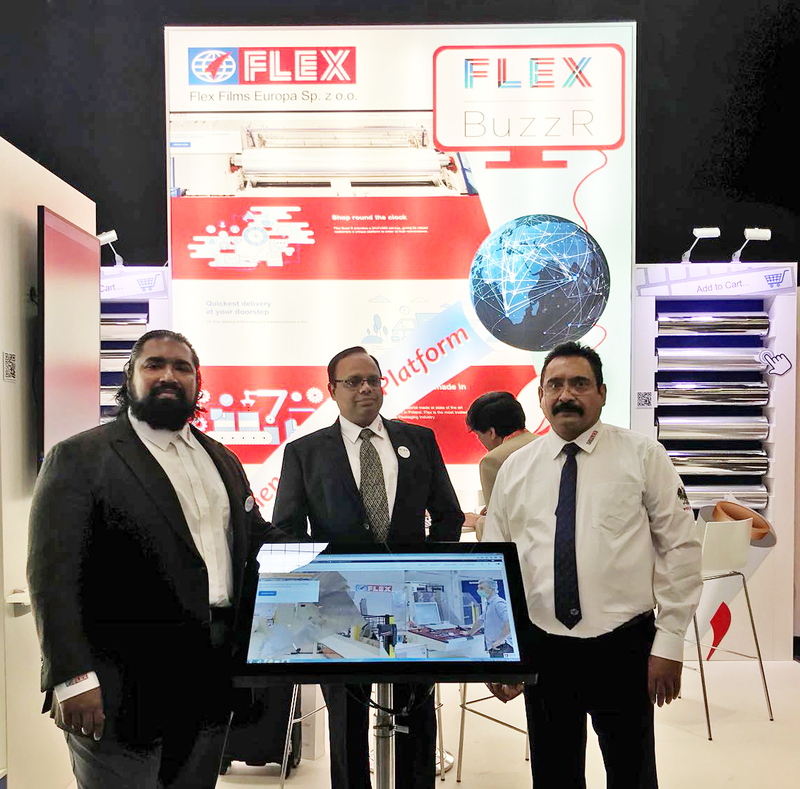 FlexFilms now has an e-commerce website of its own, with the launch of FLEX-BuzzR at the European trade exhibition FachPack 2018, Germany. The platform will give FlexFilms the leverage to offer customers in the European Union (EU) access to complete range of films produced at its Poland plants through the click of a mouse. The platform, which has a catchy tag-line – Shop at Ease, Shop When You Please – was introduced by Anantshree Chaturvedi, vice chairman and CEO of Flex Films International. The online portal will help Flex Films augment its existing business, by throwing open a vast avenue of opportunities for customers. For example, customers in addition to being able to browse through the vast catalog of product offerings, will find useful product description, user manuals, and deals of the day offerings on the site. Like in any popular e-commerce site, the customer will be able to add products to cart and put orders in real time. What is interesting is that customers in addition to buying readily available rolls, also known as Quick Pick Order, will also be able to put requests for customized (or Made to Order) products through the website. FlexFilms is expecting to extend engagement with its customer base in EU through the platform, by fulfilling even last minute orders. Further, there are also plans to use the portal to make new product announcements, and for collaborating with stakeholders. Chaturvedi said that rapid technological advancements have pushed countries to embrace the e-commerce model. Though brick-and-mortar model still sustains, given a chance packaging film owners would like to adopt the e-commerce model which gives them more leverage and a small staff to deal with. As for customers, everything is simply a click away, and they can shop at any time or day they wish. “Following the tenet of our mother brand, i.e., speed coupled with customer value creation, FLEX-BuzzR would enable us to maximize our operational efficiency and ensure better response-time for customers. Finally, the platform can be used as a marketing and communication tool to keep our customers posted on product developments,” he added.